It’s time to feed your morbid curiosity. The odds that you or a fellow passenger will need access to emergency medical care while in flight—a terrifying scenario, to put it mildly—are roughly one to 600. But it’s very likely that a doctor or nurse will be onboard to help. “Syncope” refers to loss of consciousness. And “presyncope” problems are those that would precede or signal fainting, like dizziness or lightheadedness. When a plane passenger becomes severely ill and needs help, a traveling doctor, nurse, or EMS provider usually comes to the rescue. In roughly three of four in-flight emergencies, some kind of medical professional was onboard the plane to help. Flights are rarely diverted due to passenger health emergencies. Further, researchers found that just 0.3 percent of the reported in-flight medical emergencies resulted in death, and about a quarter of the emergencies led to hospital evaluations. The takeaway here is a comforting reminder that air travel is a very safe mode of transportation. Even if a flyer suddenly requires medical attention while trapped in a small tube 40,000 feet above the earth, he’ll probably be OK. It’s statically likely that someone on your next flight will have some level of medical training, and will be kind enough to come forward to help. 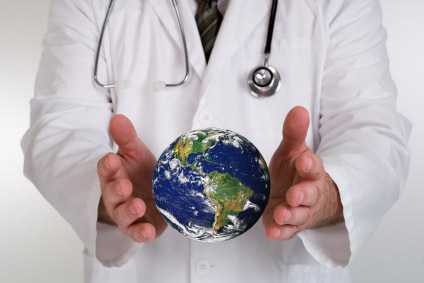 A tip of the hat to the world’s medical professionals who are, more or less, always on call.